The finished prototype for the hat in my three piece collection. I did this a bit differently from my usual design process, which is think up an idea and knit it, then go back and try to write it up after the fact. That procedure usually results in my having to knit another item after I've finished writing the pattern, just to make sure I've got it right. 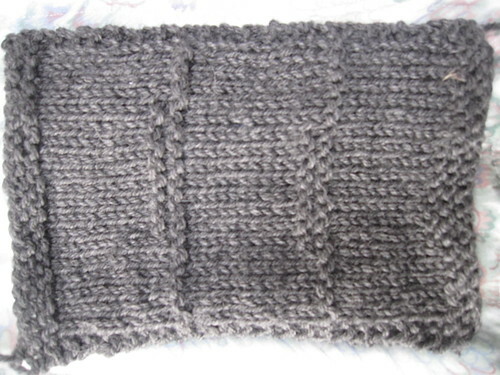 This time I put a bit more thought into the pattern ahead of time, did the chart and then knit from that. I've still got to finish up the pattern writing, but having the chart done ahead of time meant that I could knit the hat as a test knit of the chart. 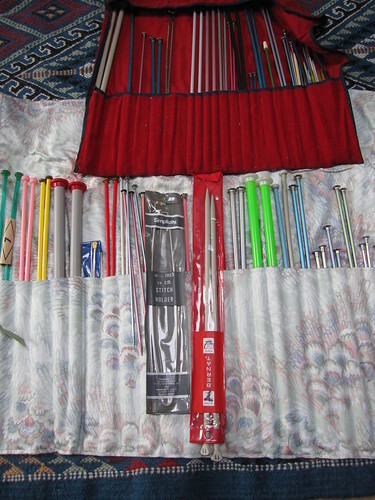 Oh yeah...in addition to this absolute honking pile of straight needles, there was a bag of circulars and crochet hooks. And stitch markers. And stitch holders. Etc, etc. You get the idea. 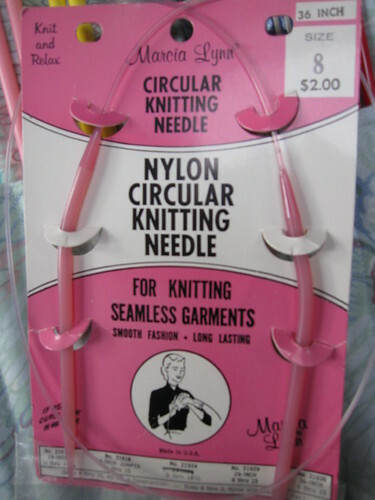 As a result, I now have a new favorite type of needle. Nylon. Molded in one piece, with no joins at all, bendy, flexible, comfy. My only complaint is that they're not very pointy, but I was so enamored that I immediately used them for a swatch. Drops Karisma, on US 7, 8 and 9 needles. None of which are quite right - 7s give me 5 sts/inch, 8s and 9s give me 4.5 sts/inch, and what I'm supposed to get for the pattern is 4 sts/inch. However, given that Mr. Fussy Mc-Wool-Is-Itchy-pants has okayed this yarn, I think I'll just knit a bigger size on smaller needles and hope for the best. Good plan, right? Right...(famous last words). I also threw design-work to the wind last night, and started a birthday present for my Mom. I'm one third of the way into the first of two, and it's cranking along. Hopefully I can get them finished up by the end of next week and send them off. Should be do-able - school starts tomorrow, so my commuting time is about to take a drastic leap upwards. Hooray! 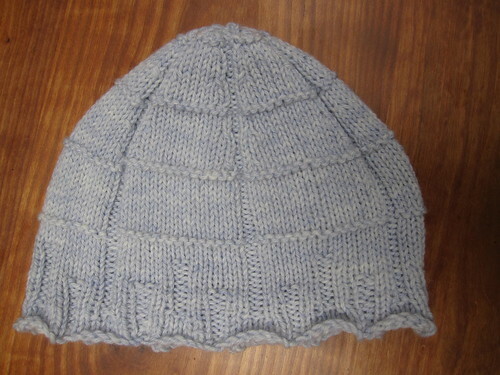 Written by porpoise On September 6, 2010 In "IM Aran", "designs", "gifts", "hats"